ATLANTA (WLS) -- A three-day ordeal is over for a Georgia woman and her trapped hog after rescuers removed the animal from a manhole shaft. Latoya Middleton called for help after her pet hog, named Bacon Rick Ross, fell into the shaft. She even crawled in herself to keep the animal company. 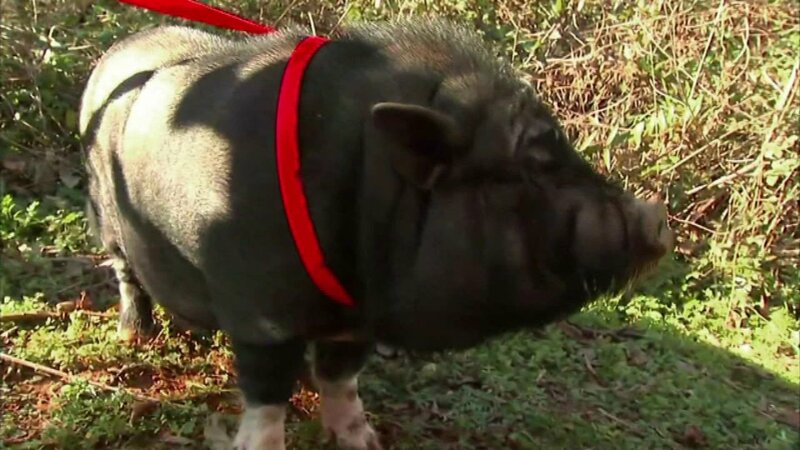 Atlanta firefighters finally hoisted the 200-pound hog back up to the street. They had to bring in special equipment due to the hog's weight and the cramped quarters in the shaft.